The Federal Energy Regulatory Commission (FERC), formerly known as the Federal Power Commission (FPC, est. 1920), is the federal agency responsible for regulating the transmission of electricity, natural gas, and oil. It has jurisdiction over state-to-state electricity sales, wholesale electric rates, hydroelectric licensing, natural gas pricing, and oil pipeline rates. It also reviews and authorizes liquefied natural gas (LNG) terminals, pipelines, and non-federal hydropower projects. The FERC is composed of up to five commissioners who are appointed by the President with the consent of the Senate. No more than three commissioners may belong to the same political party. As an independent agency, neither the President nor Congress review the FERC’s decisions. However, the agency has proven susceptible to lobbying and political influence (for example: political appointments, lobbying, and campaign contributions were noted as instrumental in deregulation of the California energy market—setting the stage for the ensuing energy “crisis” and the Enron scandal). The agency has its roots in the Federal Power Commission (FPC), a small federal agency created in the 1920s to regulate hydropower dams. President Franklin D. Roosevelt pushed legislation to dismantle utility monopolies in the 1930s, and the Federal Power Act of 1935 and the Natural Gas Act of 1938 gave FPC the power to regulate the sale and transportation of electricity and natural gas. The FPC’s new role included a responsibility to set “just and reasonable” wholesale electricity prices. Subsequent legislation and legal decisions through the 1940s, ’50s, and ’60s expanded the FPC’s role to include regulation of natural gas facilities—including those producing natural gas sold in interstate commerce, intra-state power sales transmitted over state lines, and intrastate utilities (if connected to others outside the state). The expanded jurisdiction, argued proponents of deregulation, resulted in a national energy “crisis.” And a “colossal backlog of applications for natural gas permits…chronic brownouts in the 1960s and the OPEC embargo in the 1970s” led to a reorganization of the FPC. In 1977, the Federal Energy Regulatory Commission (FERC) was established as a replacement for the FPC, with a specific mandate to determine whether wholesale prices were “just and reasonable,” critical language over which a power struggle would be fought in the California energy crisis of the early 21st century. Under the Public Utilities Regulatory Policy Act of 1978 (pdf), FERC was charged with managing a program to develop new cogeneration and small power production. It also oversaw regulation of wellhead gas sales in the intrastate and interstate markets. In the late 1970s and 1980s, the FERC began deregulating the gas markets. And as complex deregulation spread throughout the country and at the state level, the agency’s responsibilities expanded—while its budget shrank. The government, meanwhile, promoted deregulation as a means of aiding consumers in negotiating the supply and transportation of natural gas to markets. In 1992, Congress passed the Energy Policy Act, opening energy markets (sales and transportation) to competition, and giving the FERC regulatory oversight responsibility of wholesale competition. In the effort to liberalize the market, utility companies were forced to open their transmission lines to electric wholesalers—whom critics claimed were receiving preferential treatment at the expense of price regulation. Prior to the 1992 legislation, the nation’s electricity transmission network was primarily built by and for electric utilities, which were regulated by state agencies. Deregulation was meant to increase competition without infringing on state authority. Since the reforms, transmission lines still transport locally, but also move wholesale energy across regions—regulated by the FERC. States still have jurisdiction over retail competition. The dispute over deregulation eventually led to a standoff between energy companies and the state leaders who accused them of price gouging. At the center of the debate, and responsible for regulating commerce between the two sides, the FERC was criticized as a weak and ineffective entity that let the commercial interests of big market players trump those of consumers. The passage of the Energy Policy Act of 2005 (pdf) expanded FERC’s authority, giving it the power to regulate interstate commerce transmission of electricity, natural gas, and oil via pipelines. Frontline's interviews with FERC Commissioners Curt Hebert and Pat Wood, and FERC economist Ron Rattey. See also Reforms and Debate sections for EPA 2005 and deregulation. Office of Administrative Law Judges – Investigates and resolves cases as directed by the Commission. Office of Administrative Litigation – Resolves disputes through settlement and litigates unresolved issues by conducting analysis and preparing arguments. Office of Electric Reliability – Oversees the development and review of security standards and mandatory reliability, ensuring compliance with those standards by the users, owners, and operators of the bulk power system. Office of Energy Infrastructure Security – Helps to identify and solve potential risks to FERC-jurisdictional facilities from cyberattacks and threats such as electromagnetic pulses. Office of Energy Policy and Innovation – Develops proposed policy reforms to address emerging issues that affect wholesale and interstate energy markets. These issues include such areas as climate change, integration of renewable resources, and the deployment of advanced technologies. Office of External Affairs – This office is responsible for communications and public relations of the Commission. It provides information services to Congress, news media, the public, all levels of government, as well as industry and interest groups. It is also the Commission’s liaison with foreign governments. Office of the Executive Director – Advises the Chairman of potential issues regarding management, and oversees all executive and administrative operations of the Commission. Office of Energy Projects – Oversees hydroelectric and natural gas pipeline energy projects that are in the public interest. Office of the General Counsel – Represents the Commission before the courts and Congress, and provides legal services to the Commission. Office of Enforcement – Protects customers by remedying market problems and assuring compliance with Commission rules and regulations. Office of Energy Market Regulation – Analyzes filings submitted by electric utilities, and natural gas and oil pipelines, and provides input on their market design. Office of the Secretary – All official Commission actions flow through this office, including filings and notices of proceedings. The Secretary promulgates, publishes, and often prescribes issuance dates for all orders, rules, and regulations. Stakeholders include energy traders; states (legislatures, regulatory commissions); utility companies, retail energy, and electricity industry and marketing; wholesalers; energy consumers (businesses, individuals, organizations); and the natural gas industry. Environmentalists and local residents of New Jersey were disappointed in 2012 when the Federal Energy Regulatory Commission (FERC) approved the Transcontinental Gas Pipeline Company’s (Transco) Northeast Supply Link project. The so-called Stanton Loop pipeline would add 6.64 miles of pipe running through private properties and across residential streets in Clinton, Union, and Franklin townships. It also would travel under Route 31, cut through the Highlands region at South Branch Reservation along the Raritan River and Cramer’s Creek Park in Clinton Township and go underneath the Raritan River, which supplies drinking water to a million people. Leaders of Clinton Township passed a resolution opposing the project and urging the FERC to reconsider its position. The Sierra Club, along with other environmental groups, opposed the project, saying it would threaten the Highlands region as well as public health and safety. Yet work on the pipeline extension began in 2013. In May, a gas ignition and minor explosion injured 13 workers constructing a section of the pipeline. Two workers were seriously hurt and hospitalized. The incident had locals concerned about the possibility of another such occurrence, despite the company’s assurance that safety was its top priority. Jon Wellinghoff, chairman of the FERC, warned in 2012 that terrorists could do harm to the nation’s electrical grid with just a .22 rifle. Wellinghoff added that someone “could get 200 yards away with a .22 rifle” and take down the power grid, according to InfoWars.com. The assertion angered some who believed Wellinghoff was giving anti-gun New York Mayor Michael Bloomberg more ammunition for a government gun grab. In April 2013, someone breached a PG&E substation security fence, cut some cables and took shots at several transformers in the San Francisco Bay area. The unidentified vandal reportedly fired multiple times hoping to shut “down the system,” Sheriff Laurie Smith said at a news conference. 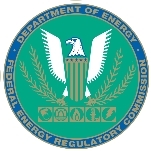 The FERC suspended the electric market-based rate authority of J.P. Morgan Ventures Energy Corp. in November 2012 for submitting false information to the Commission. The suspension banned J.P. Morgan Ventures from selling power at market-based rates for six months effective April 1, 2013. FERC officials said J.P. Morgan Ventures made factual misrepresentations and omitted material information over the course of several months of communications with the California Independent System Operator (CAISO) and in filings to the FERC in connection with requests for information involving bidding activities in the California market. FERC became involved after CAISO, which runs the state’s electrical transmission grid, complained in 2011 about the banking giant. It was taking advantage of loopholes in trading rules. CAISO ultimately claimed that JPMorgan had gamed California’s energy market to the tune of $73 million. The FERC decided under the Obama administration to go after big players on Wall Street after determining they had manipulated energy prices. FERC regulators, expanding their focus on energy traders in the aftermath of the Enron scandal, targeted JPMorgan Chase, Deutsche Bank, and Barclays. In the case of Barclays, the Commission demanded the British bank pay more than $470 million in fines for illegal trades, which the FERC called a manipulative scheme, involving energy stocks. Some of the money would go to help energy-assistance plans for low-income families in California, Arizona, Oregon, and Washington. By October 2013, Barclays had paid nothing and the FERC turned to the courts to press the issue. JPMorgan Chase was pursued for manipulation of energy markets for two years in California and the Midwest, which resulted in higher rates paid by the public and businesses. In July 2013, Chase agreed to pay $410 million to settle with the FERC. Six months earlier, Deutsche Bank had agreed to pay a civil penalty of $1.5 million in the manipulation case. The FERC upset New Yorkers in 2012 when it issued an order requiring the operator of the New York power grid to recalculate the cost of the new Astoria Energy II power plant in the state’s electricity market. When they come online, new power plants receive regulatory preference, resulting in lower prices. Older suppliers complained about the preferential treatment, and threatened to claim bankruptcy and pull out of the state. When the FERC caved to the pressure, state regulators then complained its decision would result in higher-than-market-rate prices and power costs going up by $500 million in 2013 for New Yorkers as well as some upstate customers. The decision led to complaints that the Commission was trying to please the energy industry rather than considering consumers. “The FERC order results in the unwarranted transfer of wealth from local and state governments and consumers to existing power plant owners,” Gil Quiniones, president and chief executive officer of the New York Power Authority, said in a statement. The FERC in November 2012 approved a settlement with Gila River Power LLC for its manipulation of power markets in California. The agreement represented the first time that an energy company had admitted to violating FERC’s anti-manipulation rule in an energy trading case, according to FERC. Gila River, a subsidiary of Entegra Power Group LLC, agreed to pay a fine of $2.5 million and to relinquish more than $911,000 in “unjust profits.” Between July 2009 and October 2010, it had limited the amount of power it sold to California, generated by its plant in Phoenix, Arizona, to get a higher price for the energy it did sell. The FERC ruled in 2011 that the Bonneville Power Administration (BPA) had discriminated against wind power producers in the Pacific Northwest during times of oversupply of power due to high water runoff. The BPA had urged the Commission to dismiss a complaint filed by wind farm owners, claiming that its policy to cut wind generation without compensation was necessary to maintain grid reliability. The utility said the largest snowpack since 1997 resulted in high river levels and complicated competition between hydro and wind interests in the region. Wind farmers said the BPA curtailed their operations nearly every day for almost two months. The coalition, which included an investment wing of Warren Buffett’s Berkshire Hathaway Inc., said the utility’s policy was an unfair use of the grid, cost wind-power generators tax credits that are pegged to their power production, and discouraged development of renewable power resources in the region. In this case, which fueled a national debate over power transmission rights, the FERC sided with the wind producers and told the BPA to compensate wind energy operators for lost tax credits and come up with a fairer plan for future oversupply situations. The BPA responded the following year by asking FERC to reconsider its decision, claiming that it cooperates with the Commission on a strictly voluntary basis. Natural gas pipeline leaks and explosions in New York City increased dramatically in 2011, increasing by 400% compared to the previous year, according to documents obtained by NaturalGasWatch.org. The public advocacy group reported that the number of serious or significant gas pipeline incidents jumped from two in 2010 to eight in 2011. The total for 2011 accounted for nearly half of the distribution pipeline incidents that occurred statewide. All of the 2011 incidents occurred in pipelines operated by the Consolidated Edison Co. of New York. Federal records indicated the number of natural gas pipeline incidents that occurred in New York transmission pipelines doubled in total, from three incidents in 2010 to six incidents in 2011, and the number of incidents related to distribution pipelines more than tripled, from five in 2010 to 18 in 2011. The natural gas watchdog estimates that hundreds of miles of the 5,000 miles of pipeline running under New York City are cast-iron pipes that are at least 100 years old. Jon Wellinghoff, chairman of the Federal Energy Regulatory Commission (FERC), shocked many in the energy industry, and the Obama administration, when he remarked in 2009 that no new nuclear or coal plants might be needed in the United States. “We may not need any, ever,” Wellinghoff told reporters at a U.S. Energy Association forum. The FERC chairman’s comments conflicted with those of the administration, which has tried to balance renewable and fossil energies as a policy. The Obama administration had been hoping for a rebirth of nuclear power based on safer, progressive designs. Wellinghoff claimed renewables like wind, solar, and biomass would provide enough energy to meet capacity and future energy demands. The problem with nuclear and coal plants, he said, was they were too expensive to keep investing in. Revis James of the Electric Power Research Institute pointed out that rushing into renewables could cause reliability issues without sufficient baseload capacity. In 2004, the FERC proposed—through a ballot measure—creating a liquefied natural gas (LNG) import terminal in Harpswell, Maine. The FERC maintained that constructing an LNG terminal would help lower the increasing demand of natural gas through 2010. Natural gas is cooled to ‑260 degrees Fahrenheit, which converts to liquid, and reduces its volume, allowing tankers to transport more natural gas to terminals. Once at the terminals, it is pumped into storage tanks back in its initial state, and delivered through natural gas pipelines. However, the majority of citizens in Harpswell rejected this proposal because they were concerned about their security and the dangers that tank spills and leaks can have on their lives. According to James A. Fay, Professor Emeritus at MIT, fires burning above pools of spilled LNG could reach temperatures of 2000 degrees Fahrenheit, and anyone within a mile of a tanker that spilled substantial quantities of LNG would be at risk of radiation burns. After 9/11, authorities had to take extra precautions to oversee tank transporters. The LNG proposal was highly divisive in the town of Harpswell, with many fearing this potential hazard. However, residents turned out in droves on Election Day to defeat the measure. Even verbal assaults, vandalism, and a bomb threat did not dissuade 72% of voters from casting their ballots—the highest turnout in the city’s history. Objections to proposed terminals at Sears Island, as well as in Harpswell, also arose due to the potential of an adverse impact on lobstering and fishing. Chairman Joseph T. Kelliher's statement on Devon Power LLC, et al. The FERC tentatively approved a controversial natural gas pipeline through New York State in 2001, saying the project could move forward if state and local governments gave the go-ahead. The administration of New York Governor George Pataki opposed the proposed route for the 425-mile pipeline from Lake Erie to Westchester County, New York. In 2003, officials in the Department of Commerce agreed that the state had the right to prevent the pipeline from crossing the Hudson River into Westchester. Coastal manager Randy Daniels said it could kill fish and stall waterfront development; others feared an explosion near the pipeline would knock out power and destroy a school, community center, hospital, and other buildings nearby. In addition, the Federal Emergency Management Agency declared evacuation plans for the area unworkable. Trying again nine years later, the FERC gave approval to a Spectra Energy pipeline project, this one running beneath the Hudson River from New Jersey into the West Village in Manhattan. New York City Mayor Michael Bloomberg supported the Houston energy giant’s project, saying it was needed to help New York City meet its growing demand for natural gas. Hoboken and Jersey City mayors, Dawn Zimmer and Jerramiah Healy, respectively, plus other public officials and antidrilling groups objected to the proposal. But even with the threat of lawsuits, the FERC refused to reconsider. Halting the project now is a long shot—construction began in July 2012 and should be completed in late 2013. The FERC angered locals in Pennsylvania when it ignored a recommendation by the Environmental Protection agency and approved a controversial pipeline through the Endless Mountains region in 2011. Construction of the 39-mile industrial gas pipeline for the Central New York Oil and Gas Company (CNYOG) required cutting down more than 200,000 trees and impacting almost 600 acres of land, as well as crossing through more than 100 waterways. The Commission’s decision also gave the CNYOG, which is not a public utility, the power of eminent domain, which could force some 100 landowners to sell their property. The gas company promised to use the power sparingly, but started condemnation proceedings against some owners within days. Opponents of the pipeline planned to challenge it in court. With the help of the nonprofit environmental law firm Earthjustice, joined by the Sierra Club, residents sued to halt at least the tree-cutting part of the plan. At first it seemed that the environmental groups might succeed, but in early 2012 an appeals court quashed their motions. The name “Enron” is readily identified with the boldest, most comprehensive corporate scandal in history. Enron was a company that participated in the gaming of a partially deregulated California energy system, bilking billions of dollars for its top executives—at the expense of taxpayers, consumers and employees. The company was also instrumental in preparing the market for the energy crisis that it would later take advantage of. In 1996, the California legislature unanimously passed AB 1890 to deregulate electricity markets. It created the Power Exchange (PX) and the California Independent System Operator (ISO), which oversaw many electricity companies and allowed them to place a price cap on electricity prices. In the summer of 2000, as wholesale energy started to rise, retail energy prices remained the same due to the price caps. The energy crisis was caused by high wholesale electricity prices and inadequate supply caused by insufficient generating capacity and market manipulation by energy companies such as Enron—which was poised to reap billions of dollars from the perceived shortage. Actions by the FERC in 2008 prompted lawsuits by the Washington Department of Ecology, claiming the federal agency had overstepped its bounds—even superseding other federal and state agency rulings—in its recent decisions. That year, the department filed a petition with the U.S. Court of Appeals for the District of Columbia in an effort to protect what officials said was the state’s role in federal licensing procedures for energy projects. The petition asked the court to clarify federal law regarding a recent decision by the FERC. That decision allegedly sidestepped the established licensing procedure by granting a conditional license to Finavera Renewables for a wave energy project at Makah Bay off the Washington coast. The following year, the Department of Ecology asked the Ninth Circuit Court of Appeals to overturn FERC’s decision to license an energy project along the Columbia River. State officials cited the Clean Water Act and claimed a federal environmental review was inadequate when FERC approved the project. As reported by The Nation, Enron controlled about a quarter of wholesale trading in electricity, with no regulatory oversight. In the meantime, the George W. Bush White House and the FERC’s Enron-friendly head refused to impose price controls—which, once enacted, after $50 billion in costs to state residents, made the “crisis” disappear. The government’s slow response, in fact, forced the state to accept long-term contracts that, while putting out the immediate fires, assured continued price gouging in the energy market. The FERC investigated allegations of market manipulations by Enron and other companies—but were widely criticized for essentially doing too little, too late. Former California governor Gray Davis carried out a public battle with the FERC, and threatened to sue the agency for failure to institute price caps. Former FERC head Pat Wood (a Texas Republican appointed by Bush at the urging of former Enron CEO Ken Lay) argued that Enron’s demise shouldn’t stand in the way of deregulating the California electricity market. FERC officials had been promoting deregulation for years. In the years after the crisis, the FERC has collected more than $6.3 billion from California electric market participants by facilitating settlements. Critics called the settlements a joke—token payments coaxed from government-backed energy companies who had set up market conditions to swindle consumers. On July 5, 2006, the former CEO of Enron, Kenneth L. Lay, died of a heart attack six weeks after a Houston jury found him guilty of conspiring to inflate the energy company’s stock price and misleading investors and employees who lost billions of dollars when Enron declared bankruptcy in 2001. Further, Enron sued the FERC for failing to open up the interstate transmission grid to competition, arguing that the agency’s Order 888 didn’t go far enough to provide “open access” and force participation in regional transmission organizations (RTOs). The FERC—along with consumer advocates—had maintained that it wasn’t authorized to force companies with regional control over certain power lines to open up to competition. Supporters of Kelliher argued that his 20 years of experience with energy policy qualified him to be Chairman. Therefore, eminent domain is seen as primarily beneficial to the companies under the jurisdiction of the FERC. On December 4, 2002, the FERC approved the expansion of the North Lansing, Texas, storage field by eminent domain, including the construction of a 6,000 horsepower compressor and 17 injection/withdrawal wells, with appurtenant facilities, which would increase the rate of the output of gas. S.J. Keasler, a landowner in the proposed vicinity, contended that one of the proposed wells would be on his land and cause undesirable odors that would decrease his property value. He also emphasized his concern regarding the impact on wildlife in the area. The Natural Gas Pipeline Company of America maintained that there would be no hazardous waste from the storage facilities. FERC’s environmental assessment also found that the project would have no significant impact on wildlife. In January 2006, the FERC approved the construction of 12 new I/W wells; one 13,000 hp electric compressor; 8.7 miles of 30-inch pipeline to connect one the North Lansing Compressor Station 338 and Natural’s Gulf Coast mainline, along with a 30-inch tap on the mainline. The FERC adopted a set of reforms in 2011 known as Order No. 1000, which was considered one of the most significant transformations to the electricity market in recent years. Order No. 1000 would impact regional planning of new transmission lines and allow for competitive bidding on new transmission projects. Liberals of the Center for American Progress called the reforms “the most progressive clean energy action” the federal government would likely adopt in 2011. The portion dealing with the cost of building new lines was important, the center said, because it set up a way for expensive projects to be paid for by multiple parties, thus reducing the burden and increasing the chance of new lines going up. In June 2013, several power companies, state commissioners, and trade groups sought to block implementation of Order No. 1000 by filing a lawsuit challenging parts of it, contending that it would change transmission planning and development, end up costing consumers more money, and lessen the authority of state and regional regulators. In addition, they contend, the FERC was overstepping its statutory authority. In 2012, the Federal Energy Regulatory Commission (FERC) tackled two issues aimed at improving the safety of the nation’s electrical grid from solar storms and cyberattacks. Although considered low-probability events, solar storms can, it is asserted, impact the electric system, causing blackouts by damaging switchgear and transformers. In addition to solar storms, FERC in 2012 focused on the problem of cybersecurity by creating a new office: the Office of Energy Infrastructure Security. The office was charged with developing policies for thwarting hackers seeking to interfere with utility operations and power transmissions. The FERC announced in October 2012 that it was setting new standards regarding the trimming of trees near power lines in order to increase the reliability of the nation’s power grid. The Commission proposed revisions to the vegetation management standard to expand tree trimming requirements for power lines operated below 200 kilovolts that are part of the lines operated by major transmission suppliers of the Western Electricity Coordinating Council. The revised standard, which FERC Commissioner John Norris compared to basic car maintenance, would also set a new minimum annual inspection requirement for transmission owners and incorporate new distances as to how far away from the lines the trees must be trimmed. Concerned over the growing threat of cyber attacks against utilities and the nation’s power grid, the FERC announced the creation of a new Office of Energy Infrastructure Security (OEIS) in September 2012. The OEIS was established to reduce threats to the electric grid and other energy facilities. Its goal is to help its parent Commission, as well as other agencies and private companies, better identify potential dangers and solutions. Officials said the OEIS would focus on developing recommendations for identifying, communicating and mitigating cyber and physical threats and vulnerabilities; providing assistance and expertise to other government organizations; participating in collaborative, interagency efforts; and conducting outreach to the private sector. It took nearly three years, but the FERC finally issued new rules that will better integrate renewable forms of energy, such as wind and solar, into the nation’s power grid. In June 2012, the Commission issued a final rule regarding Variable Energy Resources (VERs), which essentially meant electricity generated by the sun or wind. The new policies were aimed at addressing grid reliability and forecasting challenges posed by renewable energy sources. Specifically, the rules required transmission providers to offer all of their customers the option of 15-minute scheduling intervals, which was expected to help operators of VERs that currently pay imbalance penalties when their output does not match their schedules. The FERC also established a requirement for VERs operators to supply transmission providers with certain site-specific meteorological (such as wind speed, wind direction, and temperature) and forced outage information for production forecasting. Do FERC energy deregulation policies help or hurt? Critics of energy deregulation cite the Enron scandal as a prime example of how deregulation benefits energy brokers—at the expense of utilities and consumers. On the other hand, the energy industry contends that free-market trading keeps energy prices low, and selective constraints on the system can be used to control illegal behavior. And while Federal Energy Regulatory Commission (FERC) policies are blamed for the crisis, industry officials defend market liberalization and instead extend blame to an environmental shortage (Pacific Northwest drought that affected hydroelectric production, and impacted the entire energy system). In the years following Enron’s collapse, critics—including consumer advocates Public Citizen—continue to contend that deregulation has not led to increased competition in wholesale markets, and that the agency has not done enough to make sure prices are “just and reasonable,” and to protect consumer rights. Critics further argue that the entire FERC deregulation scheme is in violation of the Federal Power Act (underlying FERC legislation from the 1930s). Do we need to worry about damage from high electromagnetic pulses? Concerns over the effects of electromagnetic pulse go back to the Cold War, when scientists first learned the full impact of nuclear weapons on the atmosphere. Experts eventually realized that an EMP consists of three distinct pulses. The first (E1) affects solid-state electronics such as computers, cell phones, and televisions. The second pulse (E2) is similar to a lightning strike and can be stopped by surge protection. The third (E3) is a slow, long-duration surge that attacks power transmission lines and other electrical infrastructure. The FERC has concerned itself with EMPs and called for utility companies to take the threat seriously, in order to help protect the nation’s energy grid. An EMP is a threat to the nation’s electrical system, not to mention other aspects of the U.S. infrastructure, some say. They point to a congressional study commissioned in 2008 that found even small nuclear devices exploded in the right places could shut down 70% or more of the U.S. power system. Another cause for concern stems from the advent of the communications age we now live in. Electronics are increasingly fragile to electrical surges, and if left unshielded, an EMP could compromise many important systems. The FERC has said the costs of protecting the grid protection are trivial compared to the damage from a devastating EMP, be it from a solar flare or a terrorist attack. Others argue the worry over EMP is exaggerated. They don’t deny that an EMP can happen from a nuclear weapon or from the sun. But they point to the inverse square law, a law of physics that applies to nuclear explosions that would limit the range of any EMP. The inverse square law essentially says that as the distance between a source of energy (i.e., a bomb) and its objects of impact increases, the intensity of the energy decreases dramatically. Thus, the scope of an EMP could prove far smaller than what many doomsayers claim. Should the FERC control placement of transmission lines? Until 2005, decisions regarding the placement (or siting) of electrical transmission lines in the U.S. were handed exclusively by the states. But concerns began to grow in Washington D.C. over the nation’s transmission grid, resulting in the Energy Policy Act of 2005, which called for a greater federal role in transmission sitings. The energy policy act authorized the Secretary of Energy to designate National Interest Energy Transmission Corridors in “any geographic area that experiences electric energy transmission constraints or congestion that adversely affects consumers.” Under the new law, the federal government was permitted to condemn private property for the acquisition of rights of way for transmission corridors. Four years later, Senate Majority Leader Harry Reid (D-Nevada) and Senator Jeff Bingaman (D-New Mexico) each proposed legislation that would expand the authority of the Federal Energy Regulatory Commission (FERC) over the siting of new transmission lines. The matter wasn’t resolved in 2009, and it surfaced again in 2011, when another bill called for the U.S. Department of Energy to delegate FERC as the federal party responsible for designating corridors where power line congestion was most severe. The Obama administration hoped that the new plan would revitalize the Commission’s authority under the 2005 Energy Policy Act to approve high-profile transmission projects if states failed to act on them. Some members of Congress as well as utility companies voiced objections to the FERC taking a role in transmission sitings. These opponents labeled the move a federal power grab that would not serve the goal of improving the nation’s power grid. It is all the more suspicious because the idea seems to have developed right around the time former FERC Commissioner Joseph Kelliher left the Commission and became a lobbyist for NextEra Energy, Inc. Senator Lisa Murkowski (R-Alaska), ranking member on the Senate Energy and Natural Resources Committee, argued the FERC should stay out of the discussion because states, working collaboratively, could do a better job of deciding where to place power lines. Other critics said the government was using scare tactics to bolster FERC’s authority. Proponents pointed to the 2003 blackout in parts of the Northeast to demonstrate why the FERC should be more involved in transmission sitings. But opponents pointed out that the blackout was caused by human error and lack of transmission line right-of-way maintenance—not by lack of transmission infrastructure (the main argument for broadening the Commission’s authority). Other opponents included the Coalition for Fair Transmission Policy, an industry group made up of 10 large utilities including Southern Co., Consolidated Edison, Alliant, DTE Energy, PPL (formerly Pennsylvania Power and Light), Progress Energy, and PSEG (Public Service Electric and Gas). FERC Chairman Jon Wellinghoff repeatedly argued before lawmakers that his agency could play a key role in transmission sitings. “What we’re trying to do ultimately is accomplish the job and the job is ultimately to take location constrained renewable resources that are distant from load centers and move them to those load centers in an efficient, effective way, but do that using as little federal authority as possible,” Wellinghoff said in 2009. He insisted the FERC would not “steamroll the states” into accepting federal ideas for placing new towers. Pat Wood is a former Texas Public Utilities Commission Chairman and long-time George W. Bush ally. A proponent of deregulation, he was appointed by Bush to head the FERC at the urging of former Enron Chairman Kenneth Lay. There is no way I can contact a human being at Florida Power and Light. You can reach an automated number but there is no option to speak to an individual. No customer service to discuss and incorrect bill or charges because you did not receive a bill. What do you do if you don't have a computer. I am not sure that will help either. Norman Bay, a former federal prosecutor, was named to the Federal Energy Regulatory Commission (FERC) in January 2014 and confirmed by the Senate on the following July 15. He took over as chairman in April 2015. Bay was born October 10, 1960, one of eight children of Chinese immigrants, in Champaign-Urbana, Ill. Bay’s father worked for the Air Force and his mother was a chemist who worked for the Department of Energy. Bay moved with his family to Albuquerque, N.M., in 1972 and graduated from Albuquerque Academy in 1978. Bay then went to Dartmouth, where he earned a B.A. in 1982, and to Harvard Law, earning a J.D. in 1986. He then clerked for U.S. appellate Judge Otto Skopil. Bay began his career in 1989 in the Office of the Legal Adviser in the Department of State. He then moved to the Department of Justice, serving in the U.S. Attorney’s office in Washington, D.C., in 1989, handling criminal cases. In 1995, Bay transferred to New Mexico for family reasons and eventually became head of that office’s violent crime unit. Bay was appointed U.S. Attorney for New Mexico, the first Chinese-American U.S. Attorney, in the middle of the Wen Ho Lee classified material case. The government was accused of prosecuting Lee because of his Chinese background and Lee was held without bail for months. Bay helped negotiate the plea deal under which Lee was freed in 2000. After the George W. Bush administration took over, Bay left the U.S. Attorney’s office and became a law professor at the University of New Mexico, teaching criminal and constitutional law. Bay returned to federal service in 2009 as director of the FERC Office of Enforcement, looking for improper conduct in utility markets. He got J.P. Morgan, Deutsche Bank and other institutions to pay $440 million in penalties for rigging markets. When Bay was nominated to chair FERC, there was some pushback from the energy industry, which said some investigations by FERC were unfair, and from some senators, who said a FERC employee shouldn’t jump to the chairmanship without having served on the commission as a regular member. Bay consequently served as a FERC commissioner from August 2014 to the following April before taking over as chairman. Bay is married to concert pianist Yuri Chayama. The next chairman of the Federal Energy Regulatory Commission (FERC) will be an advocate for energy efficiency and renewable sources who angered coal mining interests and electric companies during his tenure as chairman of the Colorado Public Utilities Commission from 2007 to 2011. If confirmed by the Senate, Ron Binz would replace Chairman Jon Wellinghoff. Since 2011, Binz has divided his time between private consulting and serving as senior policy advisor at the Center for the New Energy Economy at Colorado State University. Born circa 1949, Binz graduated Catholic High School in Little Rock, Arkansas, in 1967. He earned a B.A. in Philosophy at St. Louis University in 1971 and an M.A. in Mathematics at the University of Colorado in 1977, where he completed the course requirements for a Ph.D. in Math and also, from 1981 to 1984, took courses toward an M.A. in Economics. While he was a graduate student, Binz worked as a manager at Blue Cross/Blue Shield from 1971 to 1974, and as a Mathematics instructor at the University of Colorado from 1975 to 1984. In the same year he earned his M.A., Binz started his career as a consulting utility rate analyst, representing clients and testifying as an expert witness in public utility cases before regulators in Utah, Wyoming, Colorado and South Dakota from 1977 to 1984. According to his website, from 1977 to 2011 Binz participated in more than 150 regulatory proceedings before the Federal Communications Commission, FERC, state and federal courts, and state commissions. Binz’s first taste of public service came courtesy of Colorado Gov. Richard Lamm, who appointed Benz to be the first ever director of the Colorado Office of Consumer Counsel, Colorado’s first state-funded utility consumer advocate office. Benz served as director from 1984 to 1995. Leaving public service in 1995, Binz founded his own firm, Public Policy Consulting, specializing in energy and telecommunications issues from 1995 to 2006. Around the same time, he served as president and policy director at the Competition Policy Institute, a non-profit think-tank that focused on energy and telecom policy, from 1996 to 2003. From 1994 to 2011, he was managing partner at Trail Ridge Winery in Loveland, Colorado. Binz returned to public service in January 2007, appointed by Governor Bill Ritter, Jr. to serve as chairman of the Colorado Public Utilities Commission (PUC), where he aggressively implemented the state’s 30% renewable energy portfolio standard. He left the PUC in April 2011.